A stock aircraft called 77I-8A2I Yelling Gazelle 1.0. Built with 450 of the finest parts. Instructions: Throttle at 50%. Press space. Wait until props are spooled up a bit. Go full power. Action Group 1: wheel brakes. Action Group 2: open/close rear cargo bay doors. The probe core is under the cockpit floor! Choose control from here if you take kerbals with you. 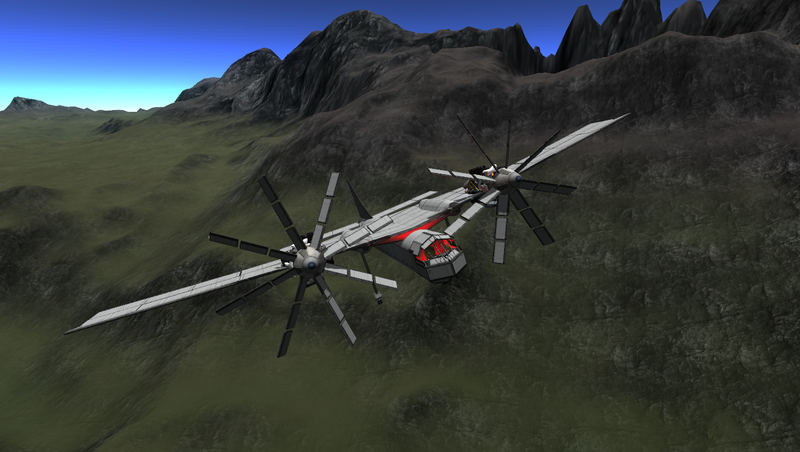 If you want the kerbals to take their seats, first start the engines and apply wheel brakes! 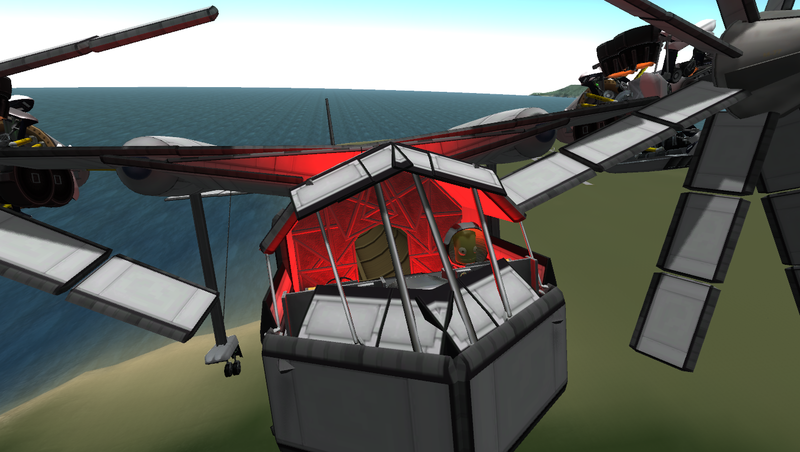 Otherwise the game produces a bug and the engines fail! There will be two explosions, one for every separator falling from the craft. This is harmless and normal! Data: Mass: 66.4t tanks full. 55.9t empty. Height: 14.0m. Width: 52.0m. Length: 30.0m. 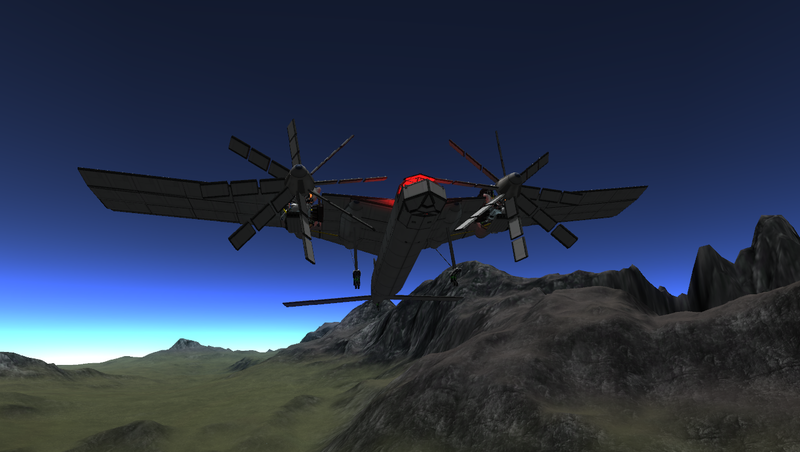 Engines: Two Azimech T8S8B4 rev.1 turboprops Parts: 450 Top Speed: 77m/s (277 km/h) @ 3250m in level flight . 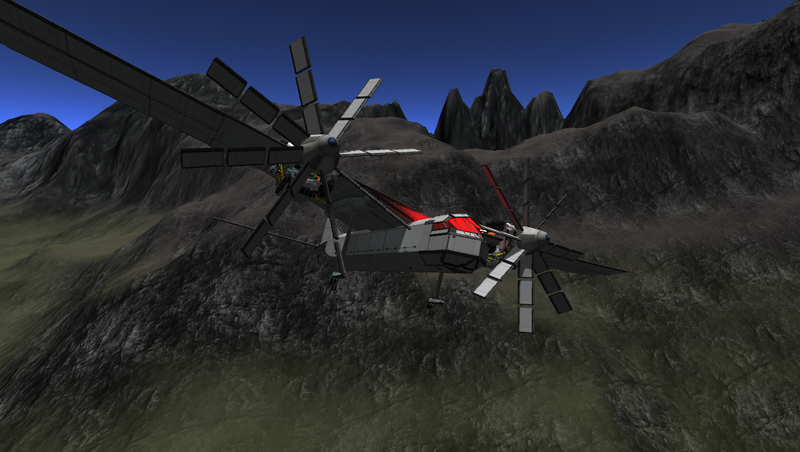 Built in the SPH in KSP version 0.90.0.